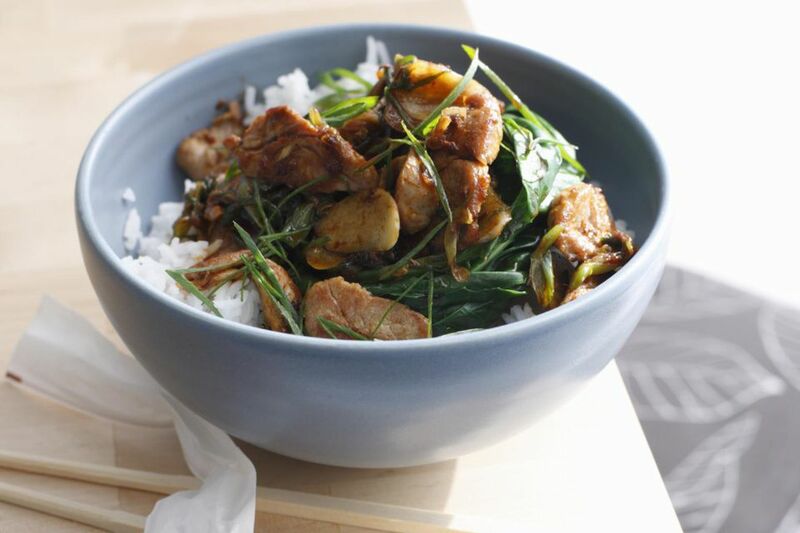 Planning to stir-fry pork and don't know what marinade to add? This goes nicely with 3/4 to 1 pound of pork tenderloin that has been cut into cubes. After stir-frying, you could finish the dish off with 1/4 to 1/2 teaspoon of sesame oil. Cut the pork into 1 to 1 1/2 inch cubes. Add the marinade ingredients, adding the cornstarch last. Marinate the pork cubes for 15 minutes before stir-frying.